I've always been one to be out on the streets, to have to walk a city to discover it and to see a town's countless faces by interacting with the characters that make up its streets. Merely, exploring its streets though doesn't feel abundant when you want to go beyond the surface and overcome physical and psychological barriers. There are more actions to take, more questions to tackle and more stories to explore. 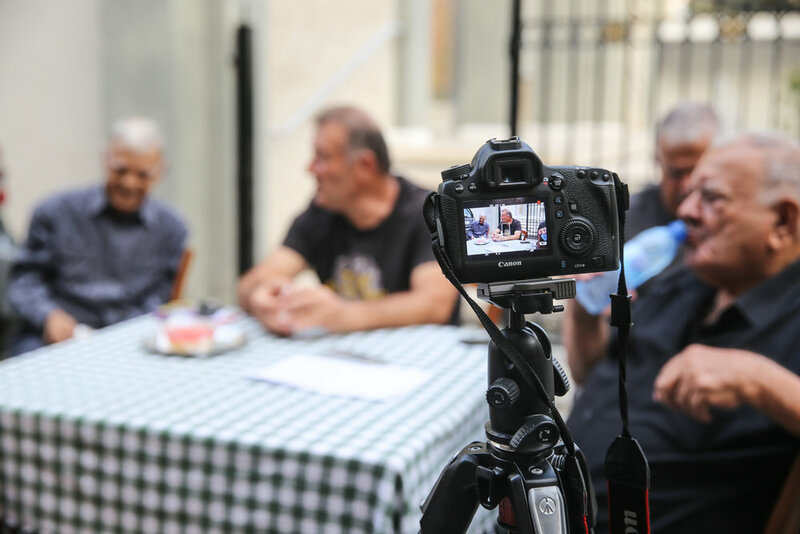 Urban Gorillas, an ngo that focuses on re-generating public spaces with their urban interventions and actions, held a week-long event in October with guest Italian director Alessandro Negrini, taking filming and community out onto the streets. 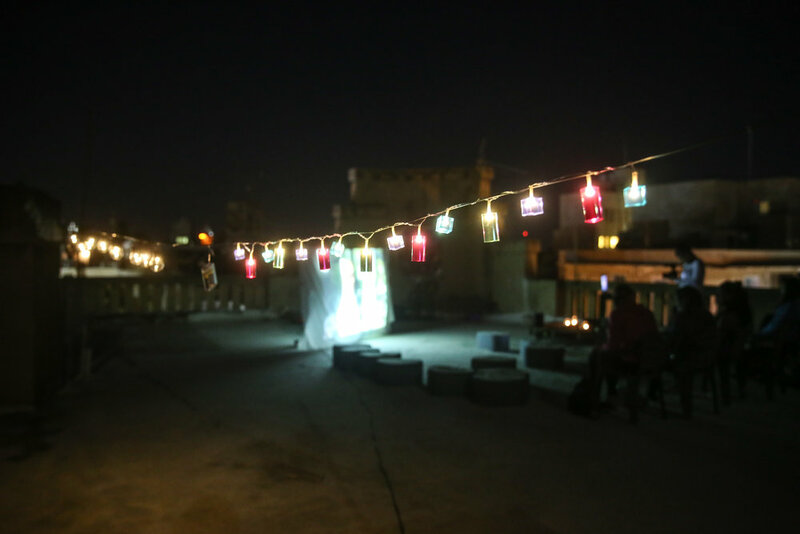 As part of their IN-COMMUNICADO project, the director was invited to question the public's perception of 'borders' through his poetic film Tides and the two-day urban workshop. The film depicts lives across divided Northern Ireland and reflects on issues that go beyond borders and the very concept of it. It is narrated from the point of view of the river separating Catholic and Protestant communities, inviting its spectators to discover its story. Spending a lyrical week with the director, Negrini explained his inspiration behind creating this storyline: "I am inspired by things that have become contradictions, things I cannot really totally explain...Tides originates from this desire to tell the absurdity of borders and boundaries through the ineluctable freedom of a river, the Foyle In Northern Ireland, who had to become what was not born to be: a border". 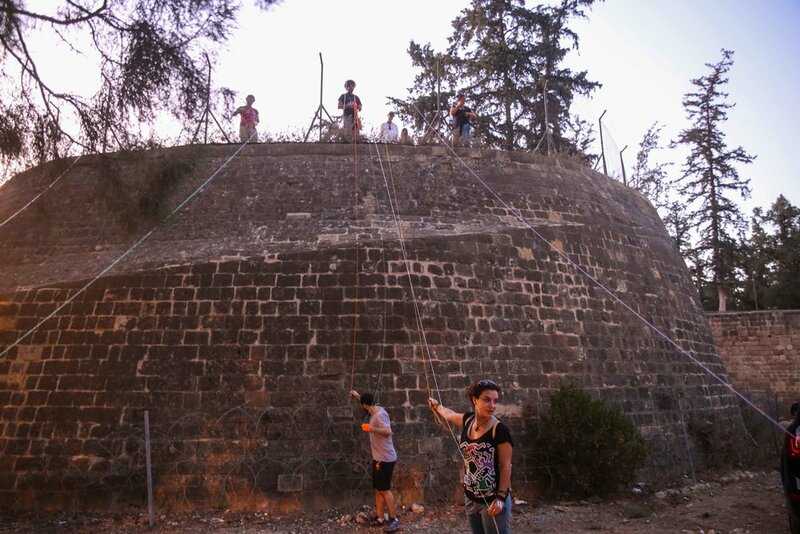 Screened at two locations across the island's division, the film urged various viewers living in similar ways to the 'river', to reflect on Cyprus' situation and question their understanding of borders. First shown at YUKA BLEND street art festival in north NIcosia, in a transformed car garage - mini cinema (in true Urban Gorillas style), I was pleasantly surprised to see equal amounts of Greek and Turkish Cypriots being interested in the film, as well as foreigners. Thus, serving the ngo's intentions; to intrigue and ponder. The final screening of Tides at Ayia Varvara square in Kaimaklli, gathered an interesting mix of Irish and Cypriot attendees indulging into the film's flow and translating it to local connotations. The public discussion that followed with Irish journalist Brian Kelly, director Sholeh Zahrei, activist Marios Epaminondas, architecture professor Yiorgos Hadjichristou and the director himself, dissected our limited spatial living. "The most dangerous thing of ending up divided is not the wall, but getting used to that wall. [It's a] great paradox of this society: cities were born from the necessity of encounter, nowadays cities are made out of divided communities", expressed Negrini summing up the main issues of the discussion. 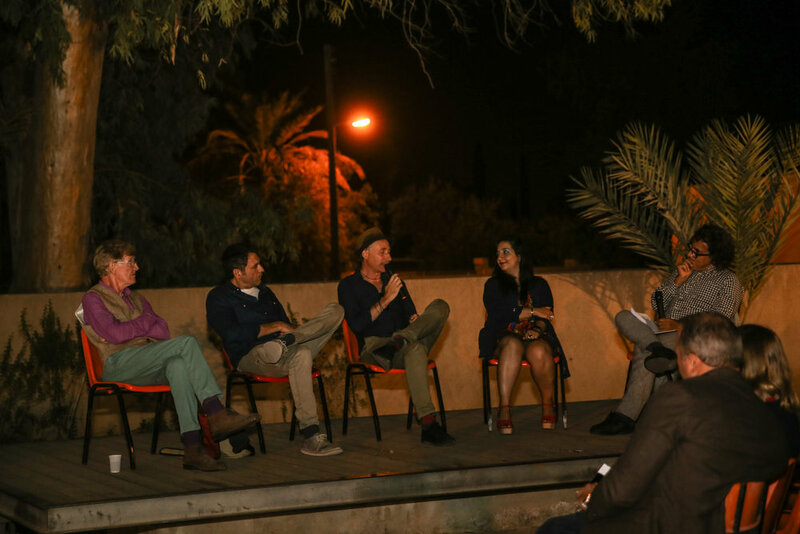 The public joined the talk whilst sipping wine offered from the Embassy of Italy in Nicosia that supported this screening along with the Embassy of Ireland in Nicosia. Following their appetite for participatory events, Urban Gorillas organized a two-day workshop with the director, on filming and community. 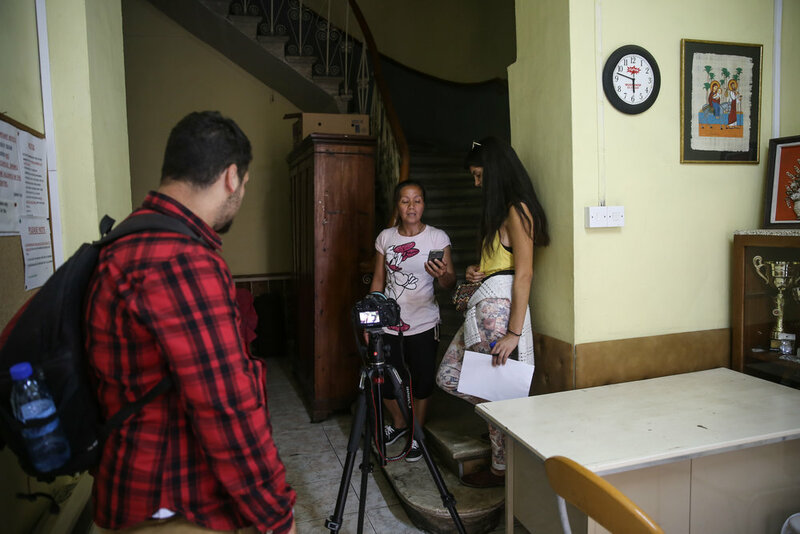 They invited 20 participants to hunt Nicosia's streets near the green line and interview people on their lost dreams. A poetic approach that at first startled both participants and interviewees, yet one that collected a sweet memoir of the city's characters - and funny encounters with green line soldiers. On day two of the workshop, we found ourselves on two roofs along the buffer zone, during the sky's golden hour, seeing Nicosia from an undiscovered view. The roofs were visible to each other so we sort of had a visual communication going on. This type of contact and the fact that we were high above any sort of checkpoint, erased -for a brief moment- the notion of division. There was nothing separating us, as north, south, east and west blurred together and we became part of the same neighbourhood. Simultaneously watching day one's films and the director running the workshop via Skype through one roof, certainly dimmed the reality of this town's separation. 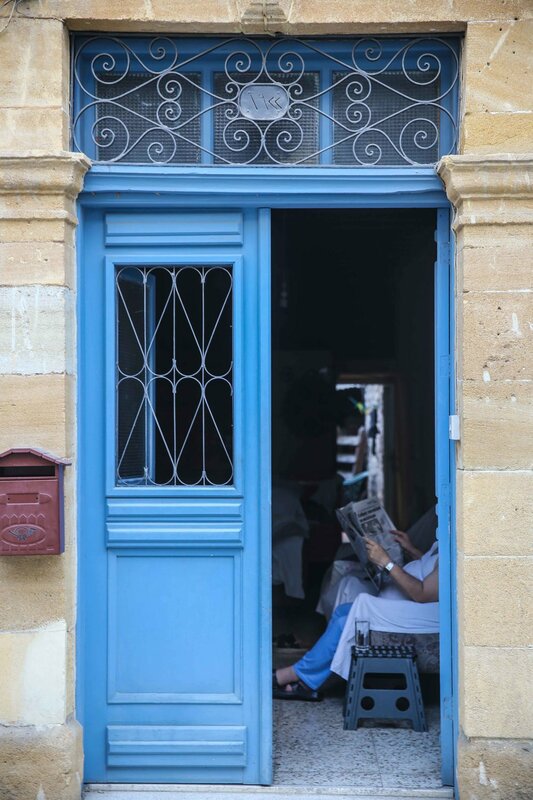 In a week marveling lost dreams and divided communities, we came to see Nicosia in unfamiliar ways, see beyond the streets that we know and the stories we are used to listening to. Reminiscing the week with Negrini he concluded: " I experienced how strong and deep is the danger of getting used to the idea of being behind a wall. I feel it is so crucial that people start looking at this separation as a sort of cage rather than a “comfort zone”. And to do this, it is necessary to look at it differently, but together on both sides. Poet César Vallejo once said: 'A man that looks at a wall, is a man alone. Two men looking at the same wall, is the beginning of an escape' ”. If you are interested in finding more about the film or Urban Gorillas, just drop me a message.